I enjoy shooting all types of portraits; head shots, lifestyle, fashion and anything you can name. But, one of my favorites are dramatic portraits. Its’s just something about the way the light that shaping the model that creates moody shadows that really grabs my attention. This was on the way I wanted to do my next photo shoot. 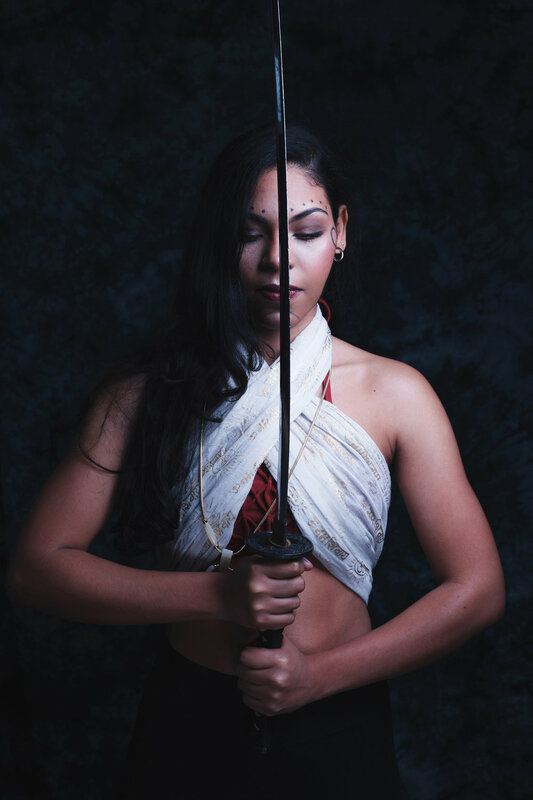 I recently bought a katana and wakizashi sword set that I wanted to use for a photo idea( I love swords by the way). So I contacted one my favorite models, Julia Martinez , and she always delivers whenever I shoot with her.